Alternative Title(s) Akame ga KILL! In a fantasy world, fighter Tatsumi sets out for the Capitol to earn money for his starving village, and finds a world of unimaginable corruption, all spreading from the depraved Prime Minister who controls the child Emperorâ€™s ear. 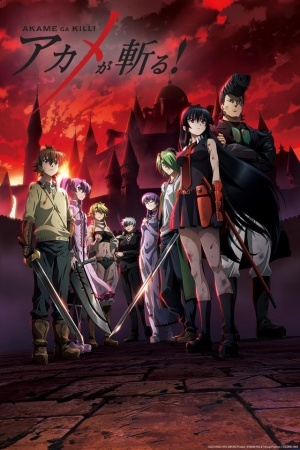 After nearly becoming a victim of this corruption himself, Tatsumi is recruited by Night Raid, a group of assassins dedicated to eliminating the corruption plaguing the Capitol by mercilessly killing those responsible.